2018 open meet. See results here. 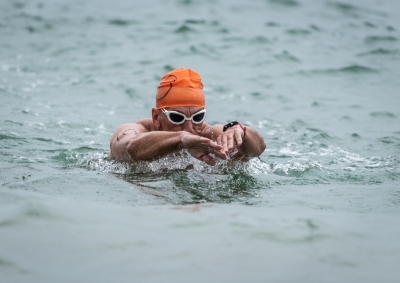 The 19th IOW Masters International Swim Meet took place on Saturday 3rd February at Medina Pool. 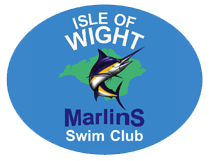 Swimmers from the Island’s four clubs (IOW Marlins, West Wight, Seaclose and Ryde) took part. The Overall best female swimmer was Anna Fenton from Seaclose Swimming Club who swam in 13 events in the 35-39 age group, winning 7 golds and 6 silvers and taking home the Charles Amber Memorial Trophy and a Paul Critchley Hand Crafted Sculpture. The Overall best male swimmer was Roy Wilson from Ruislip & Northwood who entered 11 events but in the 70-74 age group, and winning a Paul Critchley Hand Crafted Sculpture. The winners of The Heights Memorial Trophy for the best club were Bracknell & Wokingham. Many congratulations to all swimmers who took part. Anna Fenton and Roy Wilson receiving their trophies from Marlins President, Joan Kidd. The winners of The Heights Memorial Trophy for the best club were Bracknell & Wokingham.